Learn from others‘ mistakes, identify best practices, uncover differences. Each competition has two similarities: The target group and the urge to be better than any other competitor. The fast access to detailed information about the market, potential competitors and current trends is therefore essential. Therefore it is crucial to have a look at a competitor’s approaches and solutions to a problem, to learn both from good and bad examples. Especially during the conception of a redesign as well as when others remake the appearance of their own products, a study of user perception can yield illuminating insights. Only those who know exactly about the market and its competitors can react immediately and stand out with extraordinary ideas. 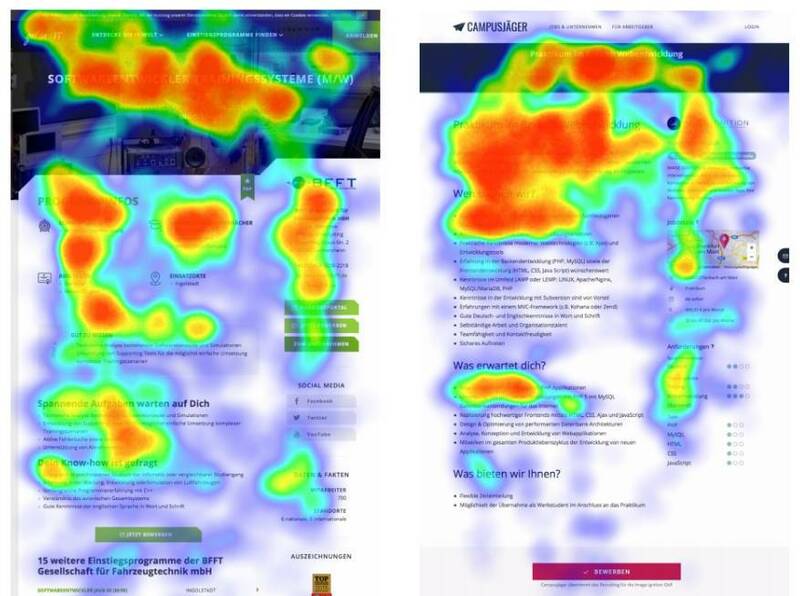 An analysis of competitors based on eye tracking studies provides helpful results and optimization potential in this context. We are still working on this success story. Please come back soon and learn more about a successful eye tracking study in the context of a competitor analysis. During a webcam eye tracking study, we measure the perception of users on a software, website or generally a user interface. There is no need for any technical adaptations. Test subjects of the requested target group will be instructed with a suitable scenario and task. Multiple competitors‘ products are shown. Finally, the analysis yields results about differences. The study helped us to identify new features and necessary changes in our concept phase for the upcoming relaunch. Design drafts and competing sites were compared, and then analyzed, prepared and presented by Eyezag.